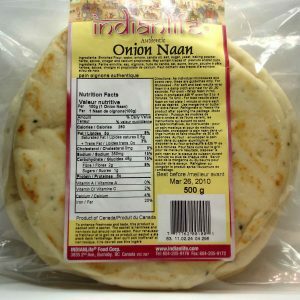 Spinach Naan – IndianLife Foods Inc. 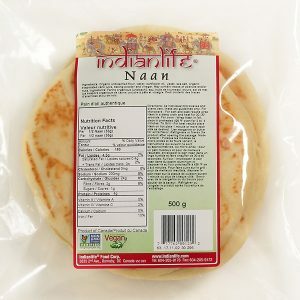 Spinach and aromatic spices give this Naan its distinctive flavor. 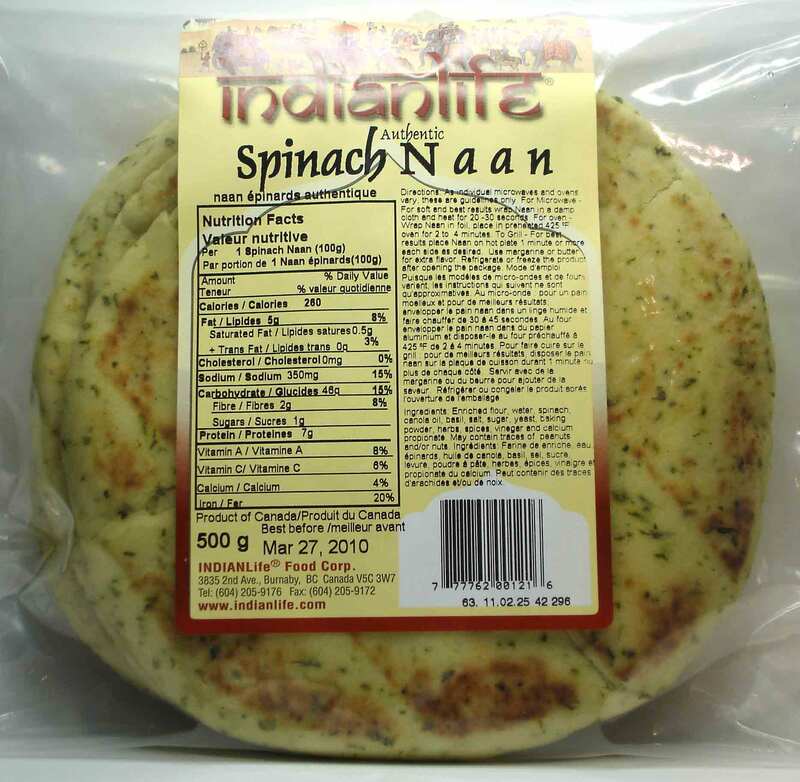 Try our Spinach Naan as the base of an egg frittata for a deliciously different brunch dish. 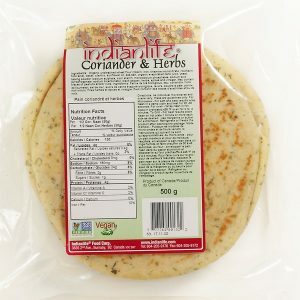 Enriched flour, water, spinach, canola oil, basil, salt, sugar, yeast, baking powder, herbs, spices, vinegar and calcium propionate. 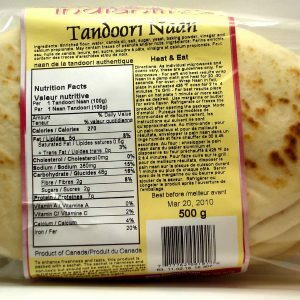 May contain traces of peanuts and/or nuts.